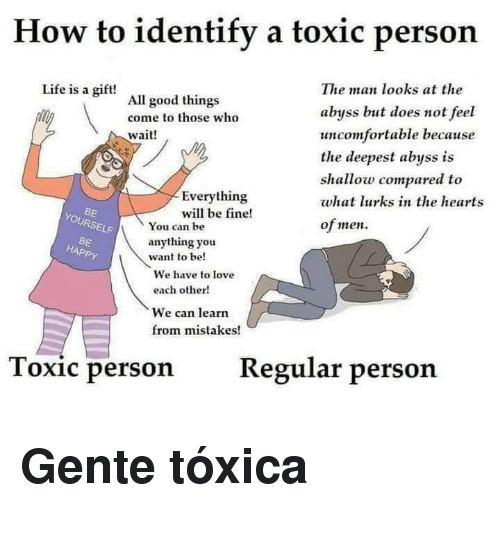 Dank, Control, and Good: When a toxic person can no longer contry, the it to Control houw ohes see you. 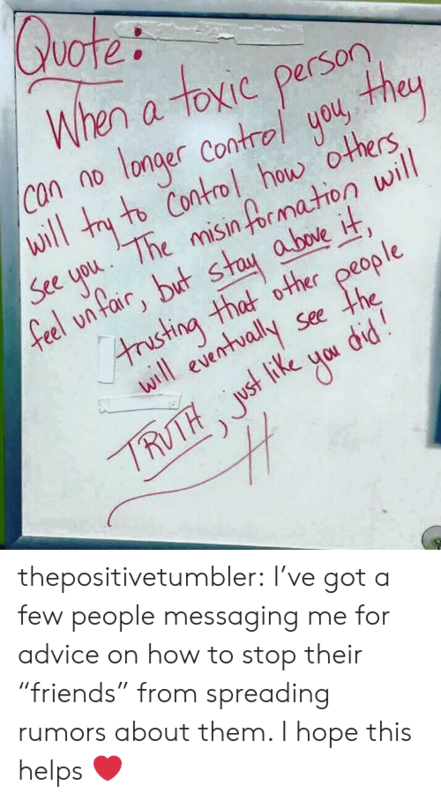 The misinfomation ulill fel unfar, but Stay abve t trusting +hat other people wiI evenhually see the tuth, just ke you didl. 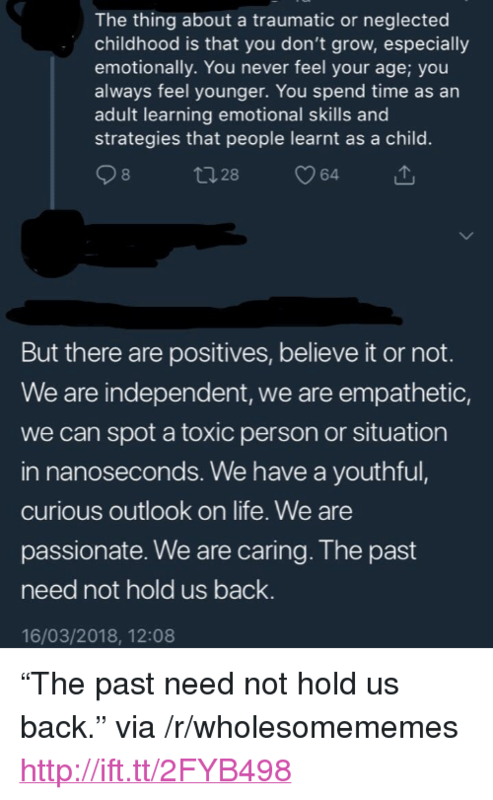 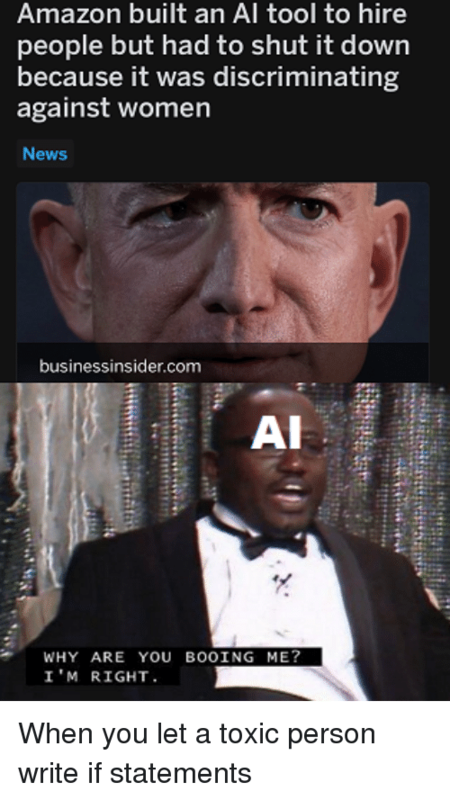 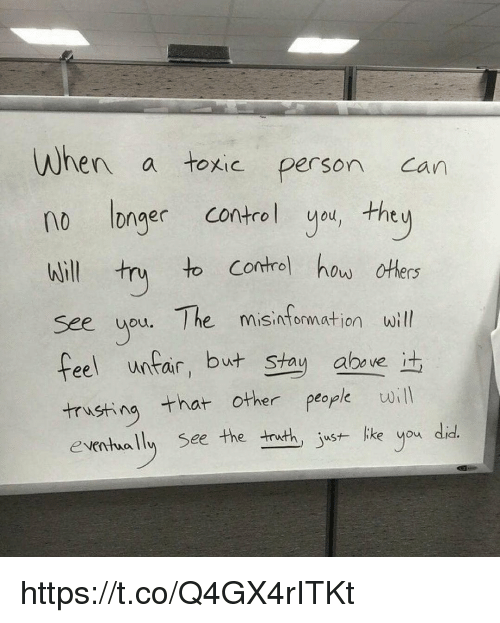 Some good wisdom. 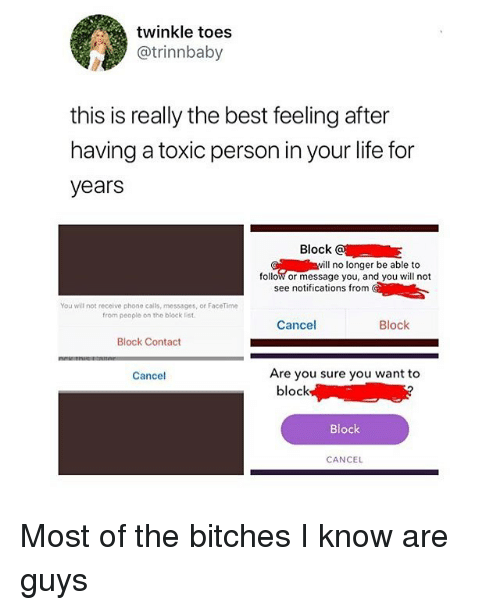 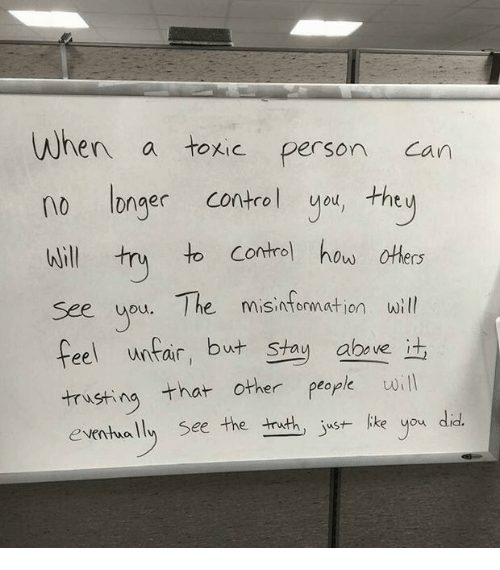 Control, Truth, and How: When a toxic person can no longer control you, they will try to control how others see you. 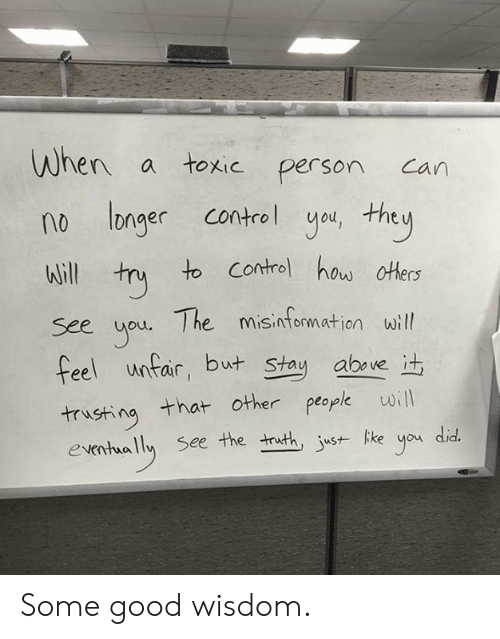 The misinformation will feel unfair, but stay above it, trusting that other people will eventually see the truth, just like you did. 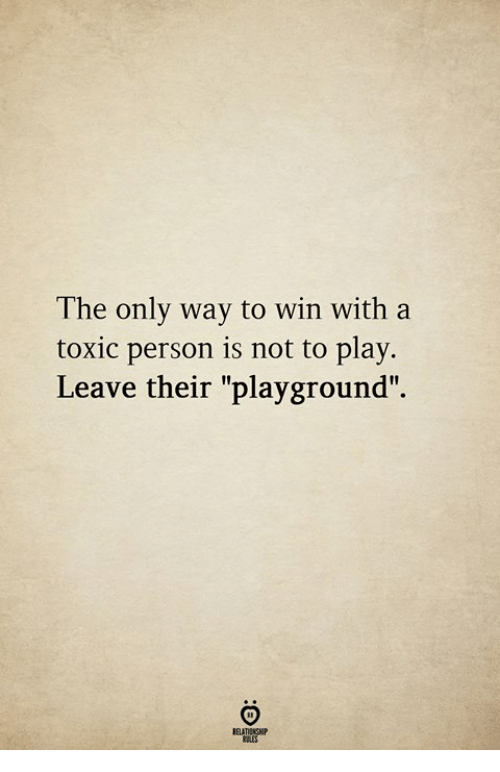 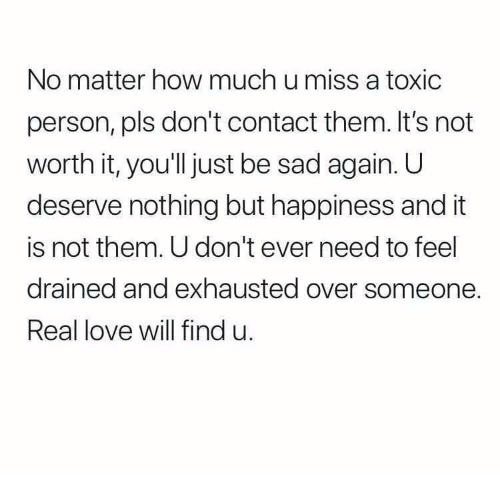 Play, Toxic, and Person: The only way to win with a toxic person is not to play. 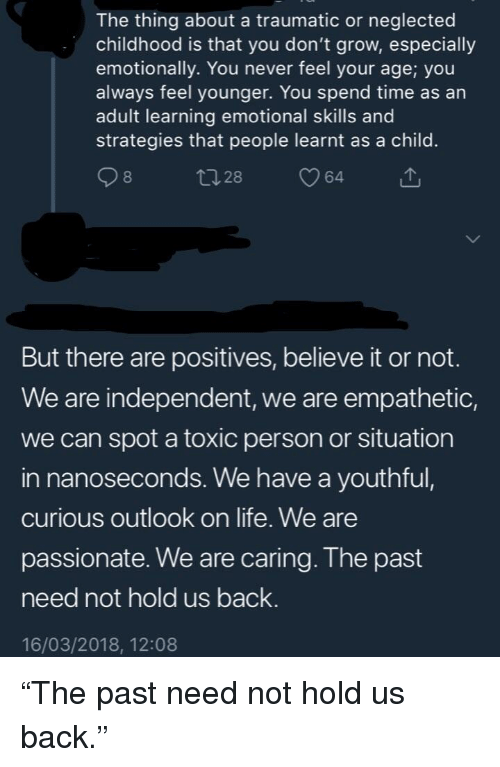 Leave their "playground". 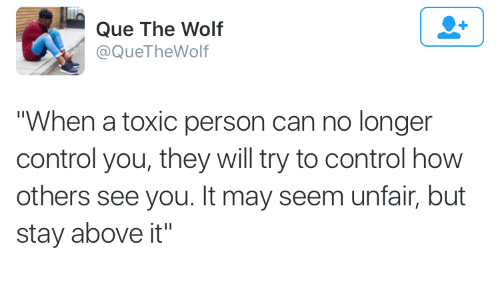 Control, Wolf, and How: Que The Wolf @QueTheWolf "When a toxic person can no longer control you, they will try to control how others see you. 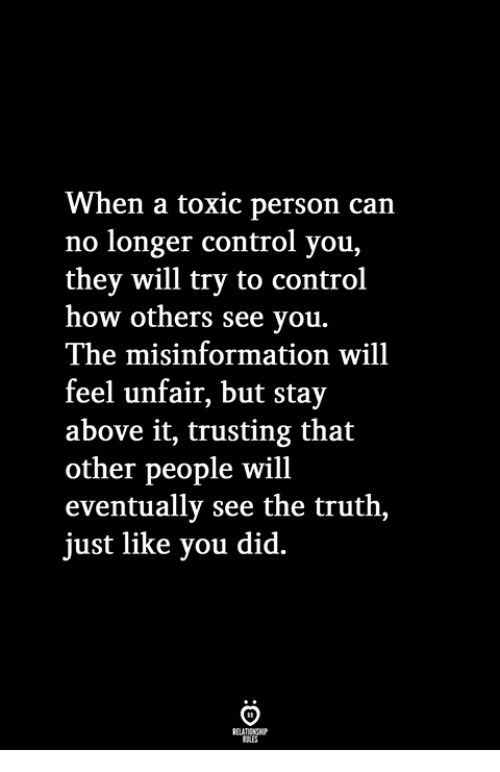 It may seem unfair, but stay above it"